LODI LC June 21, 2013 - Ellis Aquatics: The USA Swim Club of Tracy. Excellent job to all our participating athletes! Full team results are updated below! We also had a very rare occurance at this meet. 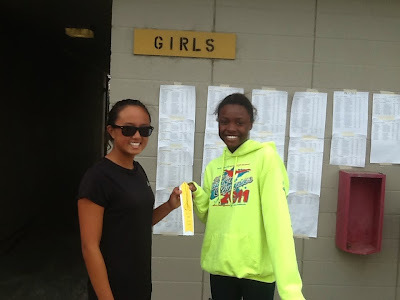 In 2012 Kamryn Lucero and Keiana Fountaine tied in an event, and repeated this tie again in 2013! Kamryn and Keiana in 2012. Kamryn and Keiana in 2013.